Ricki the chimp with his typical day's worth of food at the Bailiwick Ranch and Discovery Zoo, in Catskill, New York. 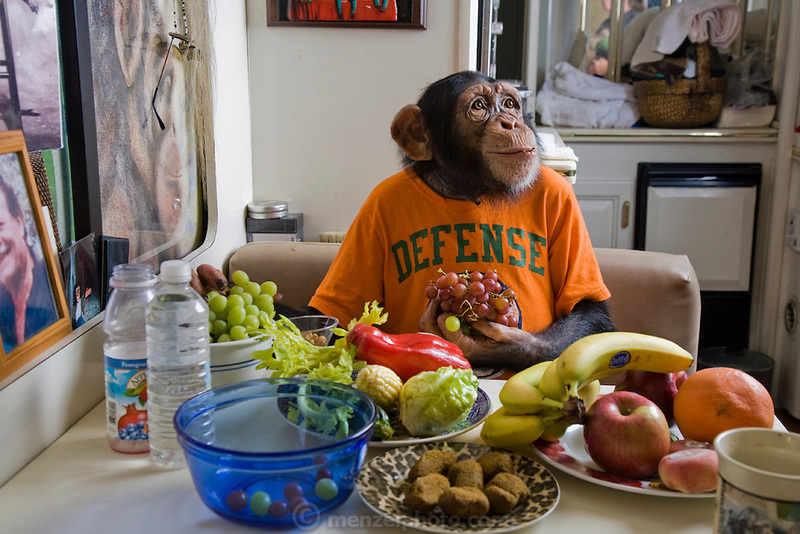 (Ricki the chimp is featured in the book What I Eat: Around the World in 80 Diets.) His owners, Pam Rosaire-Zoppe and Roger Zoppe say that he likes fresh fruits and vegetables, and an occasional yogurt drink, far more than packaged monkey chow. (MODEL RELEASED).